We create a real difference with competitors in bringing quality and originality in the preparation and elaboration of new recipes. 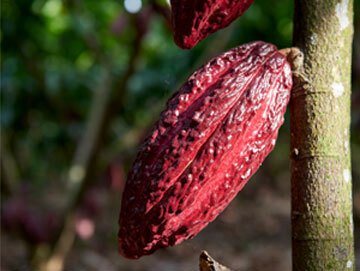 To create a delicious chocolate you need both the best ingredients but also the knowledge and expertise. 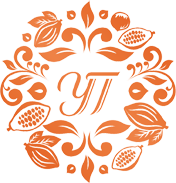 Yves Thuries produces its own raw material with Cocoa located in the region of Guayaquil and Hazelnut in the South of France. In addition of our technical know-how we guarantee a full control of the process and traceability of the product. We care about origin of each ingredient as we consider our consumers deserve the best quality. Creativity and Innovation are two key words for Yves Thuries which results by new collection & style in terms of product and packaging every year. 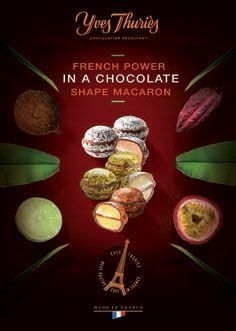 During all his life, Yves Thuries shared his passion for chocolate with his master chocolatiers and all the chocolate lovers through different tastes, ingredients and the perfect combination and balance between texture & flavors. Yves Thuries is a Legend of the French gastronomy in cooking & pastries for the professional network. He has been twice awarded « Best Craftsman » in France. Recognized for his delicious creations he is constantly striving to bring the best to chocolate enthustiasts around the world. 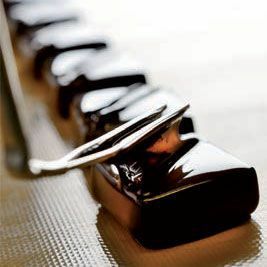 Yves Thuries offers traditional, gourmet specialties chocolates. Our consumers, concerned about tradition appreciate the fact we are producer of our own raw materials (Cocoa from Ecuador& Hazelnut from the South of France). We are also involved in sustainable development with local partnership. Our know-how « Best chef in France » is a sign of quality in the elaboration of our innovative recipes. Selecting and transforming our raw material requires a real know-how, especially at essential stages of the production such as roasting, coating, sugarcoating and quality control. All our chocolates are made in France and some of them are still produced in an artisan way especially our praline (preparation of hazelnut and almonds with sugar). We have two factories: one located in the East of France and the other in the South of France. Both of them have their own expertise in cocoa and create new & innovative recipes every year in accordance with the markets requirements. Yves Thuries has the passion to share & to hand down to our dedicated team such as pastry chefs, chocolate makers, customers. Our strategic objective is to highlight the identity of each factory by combining resources and expertise into an ambitious project for long term growth in both markets: France & Export markets. Yves Thuries has a U.S office and a sales representative in Miami since 2013 with a warehouse located in New Jersey. Our goal is to expend our chocolate business all over the world. Yves Thuries creates new recipes every year and thanks to our flexibility we can adapt our collection to different international markets.